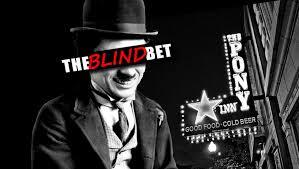 The Blind Bet - One of Chicago's BEST stand-up showcases for YEARS - is closing it doors with a FINAL show TONIGHT. Not to be missed! The lineup for tonight is super secret and sure to be a filled with monsters of the Chicago scene - with most likely 1 or 2 rock-star out of town comics included. At the Pony. 1638 W. Belmont. Chicago Il.